Juno Lighting Group is a leader in the design and manufacturer of architectural grade lighting products. this company’s products create the perfect lighting atmosphere for any application. 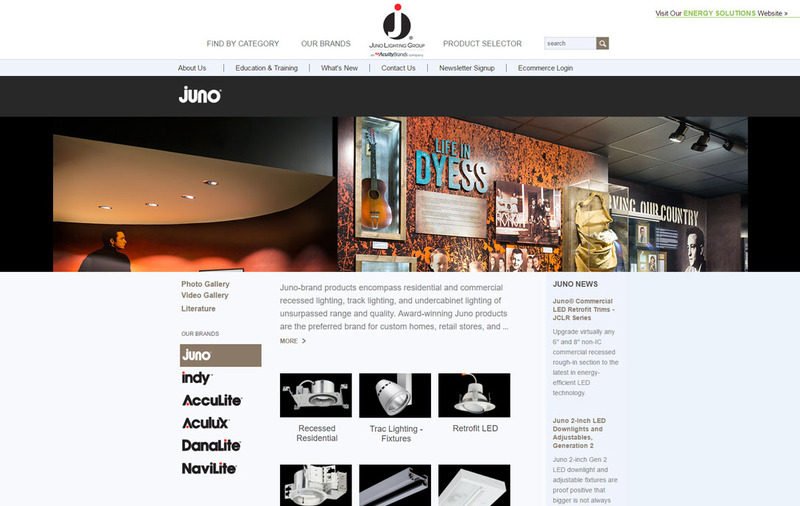 Juno Lighting Group needed a web presence that not only created a branding for their label and served as a resource for lighting technicians from all around the world, but one that was able to combine the unique characteristics of eight different lighting brands and combine them into one comprehensive web presence. With the company constantly acquiring, Juno Lighting Group had eight different lighting brands that had their own individual online programs. Some brands had comprehensive websites, some had one page brochures online, and other brands had no web presence at all. it was Plego’s challenge to take all the individual characteristics of these eight brands and unify them with a single data structure and online look and feel. Through the use of Plego’s customized “product selector” and “product index”, plego was able to unify the products of all eight brands into a single data entity. in process, by creating an individual section for each brand, Plego was able to maintain the individual characteristics of each brand but still kept it within the Juno umbrella. Plego integrated custom search technology that allowed users to search for products across all brands. If the user wanted a more concentrated search experience, they were also able to search by that brand only. Plego developed the product selector technology that allowed lighting specifiers to configure their own lighting applications based on specifications that the product selector tool provided them. For the more novice lighting user, Plego developed the product index technology, which was a easy to use menu on the left side of each individual brand page. This index allowed the user to browse through different types of products on the site, without having to know lighting specifics. 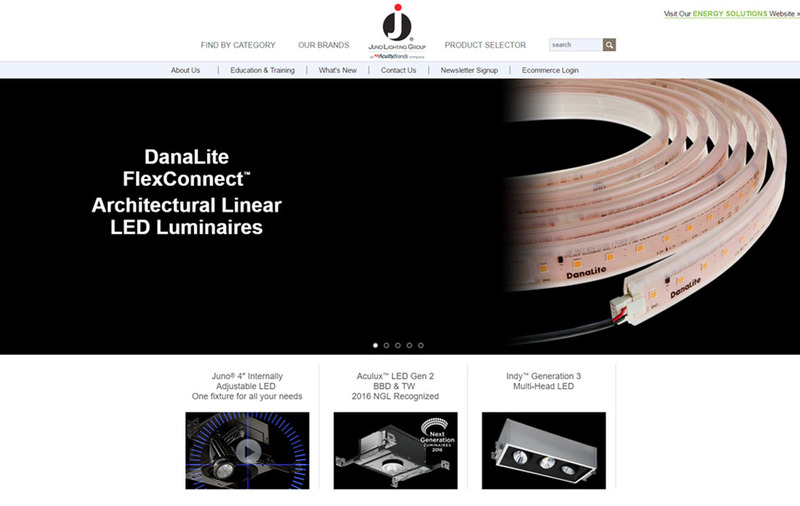 In the end, Plego developed a comprehensive web presence that allowed Juno Lighting Group to stand out as a single entity, all while maintaining the unique characteristics of the individual brands that make Juno Lighting Group the nation’s leading lighting company.